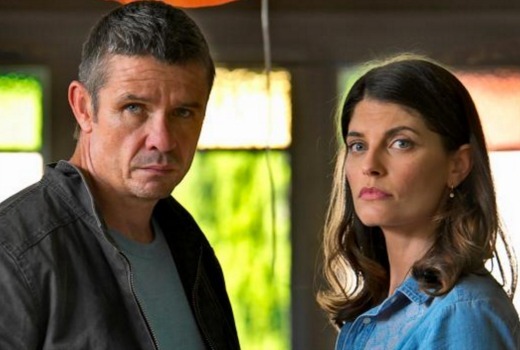 The very versatile Matt Nable has confirmed Nine is not continuing with its Australian Federal Police drama Hyde + Seek. The series was not renewed for Nine’s 2017 Upfronts with no clarity on the show’s future. “It’s unfortunate because it was such great fun. I thought maybe we’d do a couple of seasons. But Channel Nine decided not to,” Nable told TV Tonight. Co-stars Mandy McElhinney and Zoe Ventoura are now both busy with Nine’s Love Child. Nable was nominated for his stellar performance in Barracuda at the Logies, but says he has immediate plans to shoot any more local projects. “I hope so. There’s not much around at the moment for me. But I’d love a job back home. But Nable remains in high-demand, heading to New Orleans this week for a film project he has created. I wanted to like it, but whilst the production values were great and the acting was solid, the scripts were very lacklustre and paint by genre numbers. I thought Mandy McHillinney’s performance was ordinary. It’s kind of sad that such a bland drama like Doctor Doctor gets a second season and a great drama like Hyde and Seek is gone. It’s not right. It’s a travesty that it wasn’t up for any Logies, even more so now that it would have been it’s only chance. It was a brilliant show. I never watched it myself but promoting Hyde and Seek at the same time as Doctor Doctor only one was going to do well it seemed. As I have said previously we hadn’t had any Aussie dramas in the third quarter and then we were spoiled for choice. It’s a shame that Hyde & Seek isn’t returning. Probably one of the best of the few Australian shows I watched last year, was really hoping for a renewal.